5 Reasons why Europe would make the Indian tourist drink tap water! The question whether you will find clean drinking water while travelling out of India is not very much debated. Why? Being Indian, we are used to the habit of buying bottled water as and when we need. It is available everywhere and would not cost us more than 20 rupees. We expect it to be similar, everywhere we go. But to the surprise of many Indian tourists travelling to Europe for the first time, it appears that people prefer to consume tap water instead of buying bottled water. Something which we can not afford to try out in India! Here are the best reasons why you might also prefer tap water while in Europe. 1. Drinking water itself can ruin your vacation budget! Believe it or not, drinking at a restaurant, or buying bottled water, alone can ruin your vacation budget. 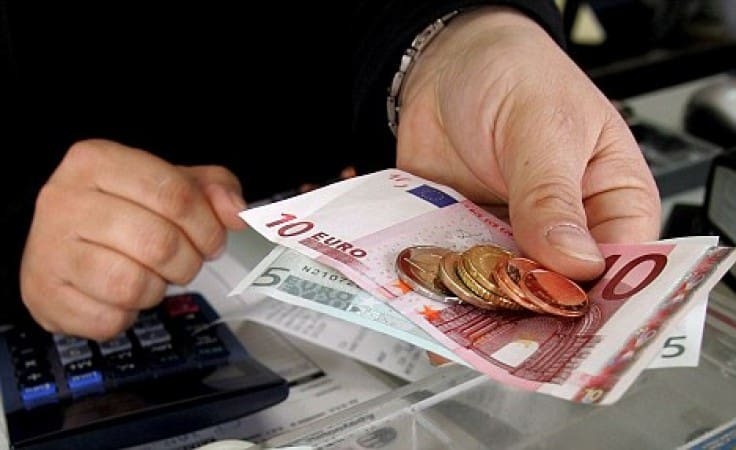 A litre of bottled water would cost 5 euros, and nearly 10 euros when served in restaurants, that is nearly 40 times what you spend back home (see euro to inr exchange rate). In Europe, most people serve bottled water, but not necessarily because tap water is bad. They mostly prefer it for the taste and sparkling bubbles. Yes, Europe has a great number of mineral water springs, so mineral water is available everywhere. While in a restaurant, you may ask for tap water, but you must be very diplomatic about it. 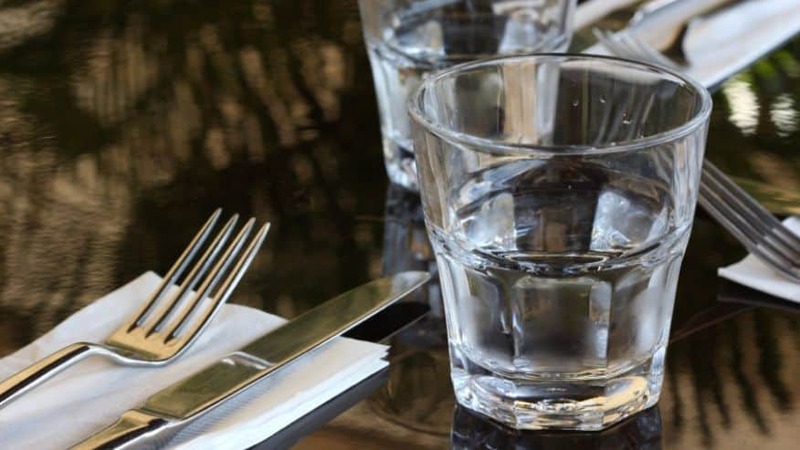 Many restaurants consider offering tap water to customers as a big favour. Also, you may still have to pay for it, but it has a more acceptable price of €1. Coffee is the beverage most respectable restaurants will serve with a glass of tap water. But in the rest of the cases, you might need to ask for it, nicely. 2. Most European countries have safe to drink tap water. Countries marked in red have safe to drink tap water. 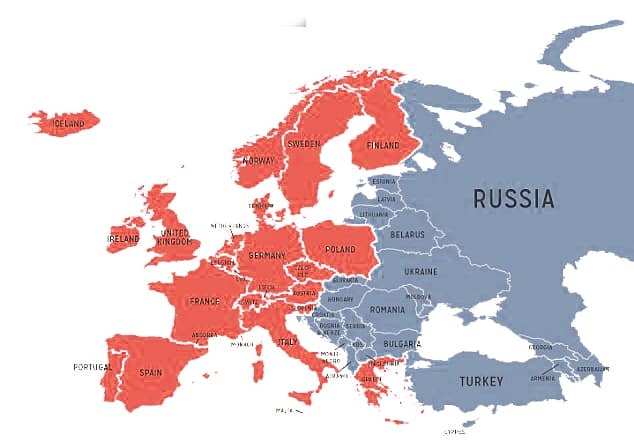 Most European countries have tap water that is safe to drink and will not cause you any health problems. You can easily carry a bottle with you and just fill it up from bathrooms, hotel rooms, museums or other public places. You may also try restaurants, but the story may go as previously mentioned. Here are the countries where tap water is considered to be great, so you don’t have to worry about it: UK, Ireland, Austria, Belgium, Greece, Germany, France, Norway, Sweden, Switzerland, Spain and many more are also on the list. You will notice that the tap water here is clear, doesn’t smell or have a weird colour, just perfect to consume it. So it is not worth buying bottled water all the time since tap water is safe to drink in the majority of countries. Also Read: 12 Breathtaking places in Europe you have never heard of! 3. Free tap water in restaurants, only in the UK though! An interesting thing to know, at least regarding the UK, is that they’re country regulations mention that every bar or restaurant that is serving alcoholic beverages must provide free tap water to all the customers that will ask for it. Of course, you won’t see that written anywhere, but if you are in the UK and need to drink a glass of water don’t hesitate to ask it like a gentleman. The reason that they don’t display it is that they do rather prefer to sell bottled water since it brings them more earning than to serve everyone plain and free tap water. If you served a meal or had a couple of drinks in a restaurant, you may very well ask the waiter to help you with a glass of water, since you already paid for something. Learning to ask for it in the regional accent might help you. Still, to just walk into a restaurant and ask for a glass of tap water might not always give you the wanted results. 4. A litre of water or a case of beer? Both costs the same anyway. You may be surprised to find out that a glass of wine or a carafe of beer might be cheaper than bottled water in restaurants and pubs. 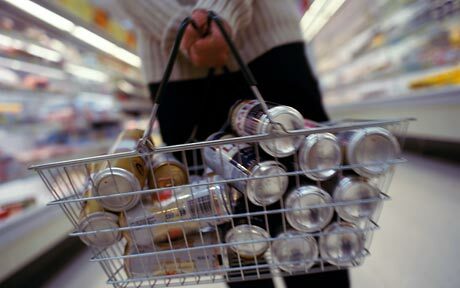 A litre of water in restaurants would cost the same as a case of beer from the market. It goes the same way if you wish to drink soda or other non-alcoholic beverages. 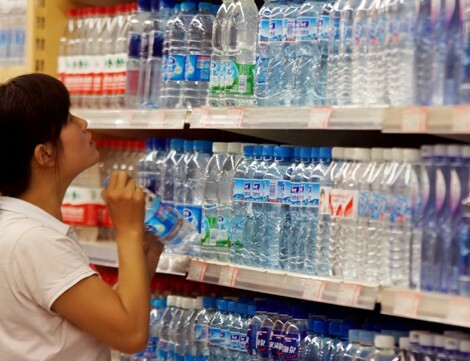 The cheapest places where you could buy bottled water or sodas are the supermarkets. Compared to restaurants, they have accessible prices if you want to buy something to drink. To have an idea about the situation, think that with the money you pay in a restaurant for 0,500 ml of soda, you could buy almost 2L of the same soda in a supermarket. So beverages in a restaurant are something you shouldn’t throw yourself on too much if you don’t wish to spend your money too quickly. 5. So much variety of bottled water and you will be puzzled for sure. Even if you land in a supermarket, you will be stunned to see that Europeans have whole shelves filled with different assortments of bottled water. They have the traditional mineral water, which has a lot of gas in it and might be rather weird to drink if you are not used to the sizzling feeling. Then, there is the partially demineralized water, which is milder regarding the content of gas and minerals, being the perfect compromise between plain and mineral water. And finally, there is the plain bottled water, which is mineral water, but with no gas in it. And all these three assortments will be found made by different brands. And yes, you may also find in Europe mineral water with various fruity flavours, so it can be a real headache to pick one you might enjoy drinking, especially if you don’t know if you’re going to enjoy the taste. So tap water may be the most secure way to have water, without risking to spend your money on something you hate to drink. But if you really want to try the European mineral water, you can also choose a smaller bottle and see how it goes.